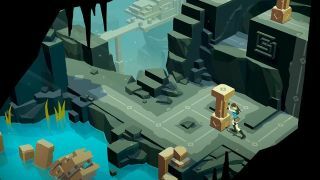 While many major gaming publishers like Sony and Nintendo are struggling to translate their most popular franchises into successful mobile titles, Square Enix seemed to be doing something right with its series of ‘Go’ games. With these games, fans got the chance to play fully-fledged mobile versions of their favourite franchises, such as Hitman and Tomb Raider. They won awards, frequently found a place on ‘best of’ lists, and were even ported to consoles. Yet it seems Square Enix Montreal will no longer be working on them. This means that free games with in-game purchases are usually the preferred option for both publishers and consumers. You only need to look at Fortnite Mobile and the millions of dollars it’s making to know that mobile gamers aren’t averse to spending cash, they just need to be invested in the experience first. That’s not to say, however, that Square Enix is giving up on mobile titles entirely. Naud said the company will continue to create mobile experiences but that it’ll be trying new experiences now that the Go series is no longer.